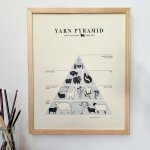 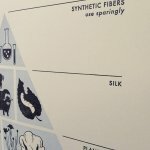 A slyly amusing and lovingly produced riff on the classic Food Pyramid, Fringe Supply Company's Yarn Pyramid was designed to evoke an old-school educational poster. 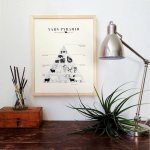 The concept and design are mine, with illustrations by my close friend Leigh Wells. 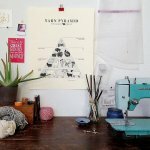 And it's been printed by Victoria Heifner of Milkfed Press on her hand-cranked letterpress — each shape and letterform pressed into elegant ecru Crane & Co cotton card stock. 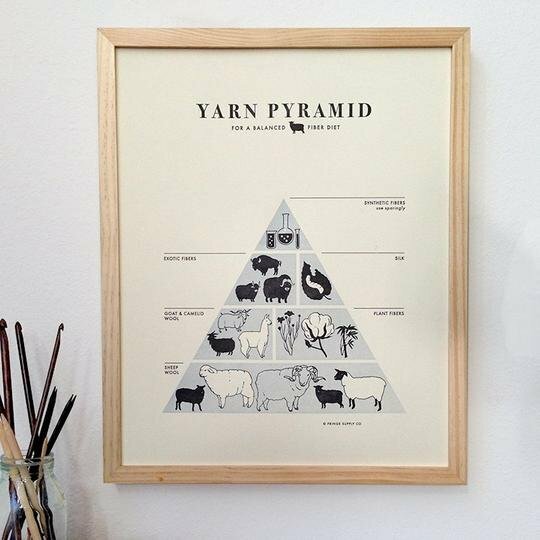 Suitable for framing!